"how wide and long is the paddle"
"Thank you for your inquiry! The paddle itself is about 16.5 inches long and 7 inches wide at the widest point. We hope this information helps! " 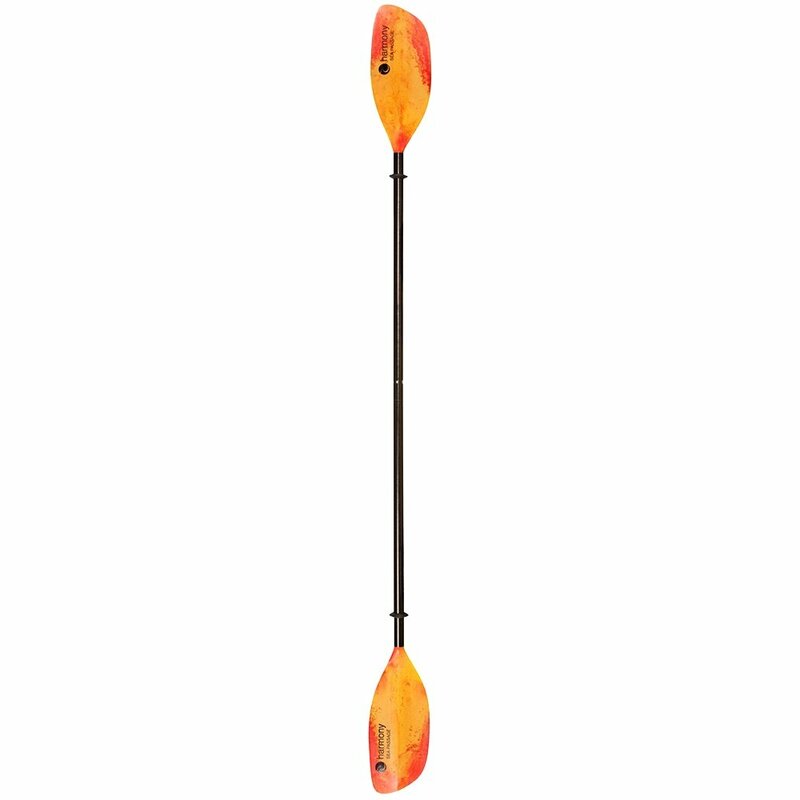 "Does the Harmony Sea Passage Fiberlass shafted paddle have feathering options? (the aluminum shafted version says that it does)." "Thank you for your inquiry. Yes, the "Harmony Sea Passage Fiberglass Kayak Paddles" do have a feathering adjustment. We hope this answer helps with your Peter Glenn selection and purchase."